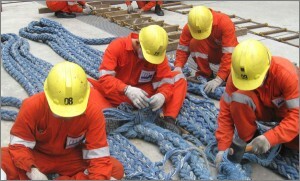 The Maritime Labour convention (MLC 2006) considered as the Fourth Pillar of international maritime law (with SOLAS, STCW and MARPOL) has been ratified by Russia and the Philippines on 20 August 2012. Therefore theses two last ratifications fulfills the requirement that at least 30 ILO members representing 33% of the world gross tonnage of ships ratify this convention. So the MLC 2006 will take effect on 20 August 2013. This convention (16 articles grouped in 5 titles) contains minimum requirements regarding minimum requirements for seafarers to work on a ship (title 1), conditions of employment (title 2), accommodation, recreational facilities, food and catering (title 3), health protection, medical care, welfare and social security protection (title 4) and compliance an enforcement (title 5). The effect of the MLC, 2006 will change 37 ILO conventions and will impact the labour rights of more than 1,2 million seafarers employed on vessels/yachts/ships.